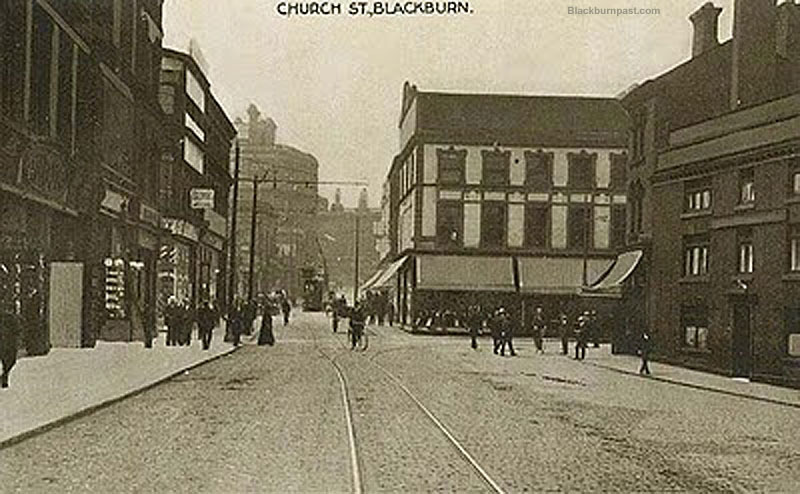 BLACKBURN PAST: Church Street viewed from Salford (again). Church Street viewed from Salford (again). Church Street again, looking towards The Old Bull. Note the lack of signage on The Golden Lion. Quite unusal to see it like that. In fact I think this is the only photo I've ever seen where the name isn't clearly visible. 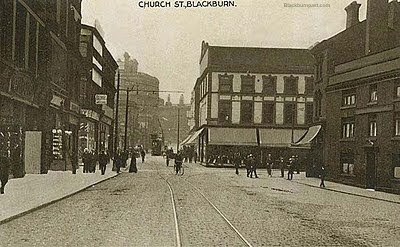 This photo shows just how an impressive building the Bull was on the corner of Church St and Darwen St. I think you keep posting these photo's of Church St for my benefit Colin because you know that I have a "Soft Spot" for it....Thank's Bud keep them coming. I have more photos of Church Street, Corporation Park and King William Street than I have of anywhere else, which is why there's a lot on here of all 3 locations, but glad you like them anyway.